There are times when it’s just so cold that most people don’t even want to go outside. 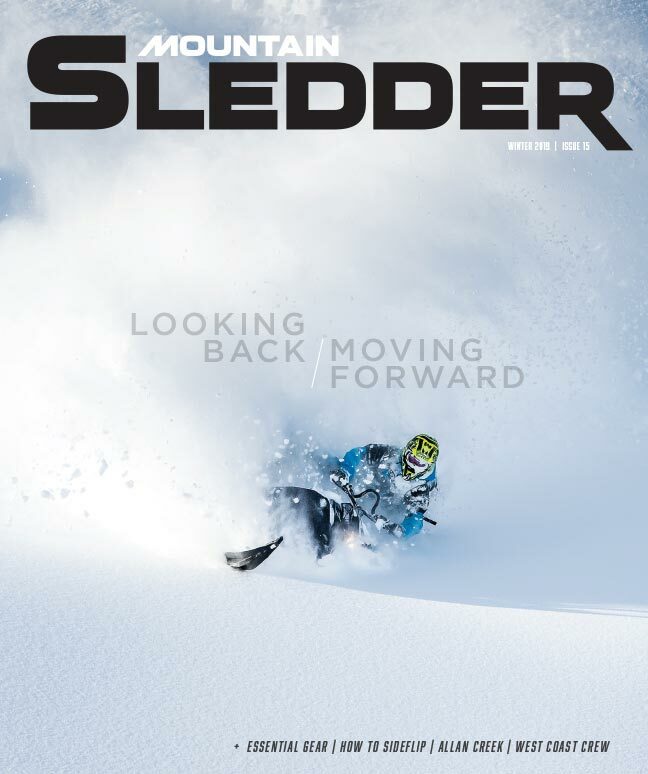 But sledders are a different breed, and they’re not likely to let a little cold weather get in the way of a day riding. 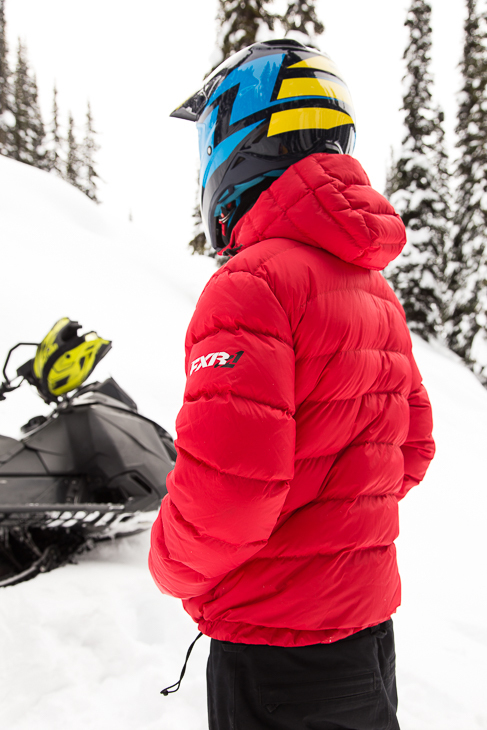 For those days and more, it’s good to have a down jacket in your closet. There are two types of down jacket out there. 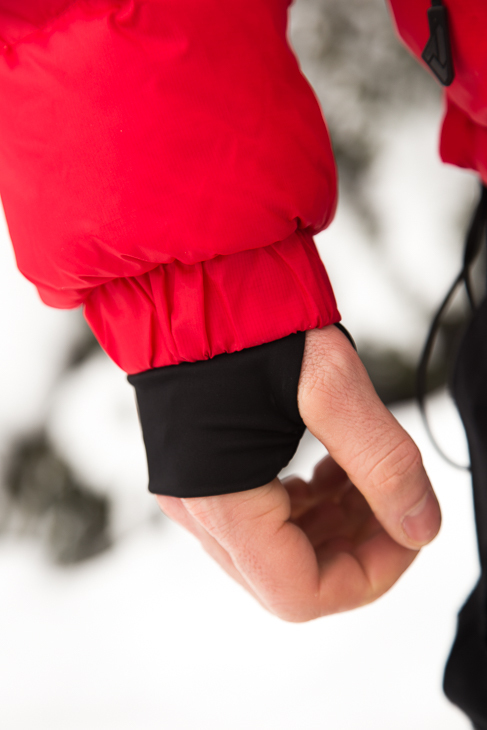 There are micro-down jackets that pack very small and can be used as a middle layer for a range of temperatures. Then there are the puffy down jackets that get pulled out when the mercury plummets; they big with more insulation and are worn as the outermost layer. 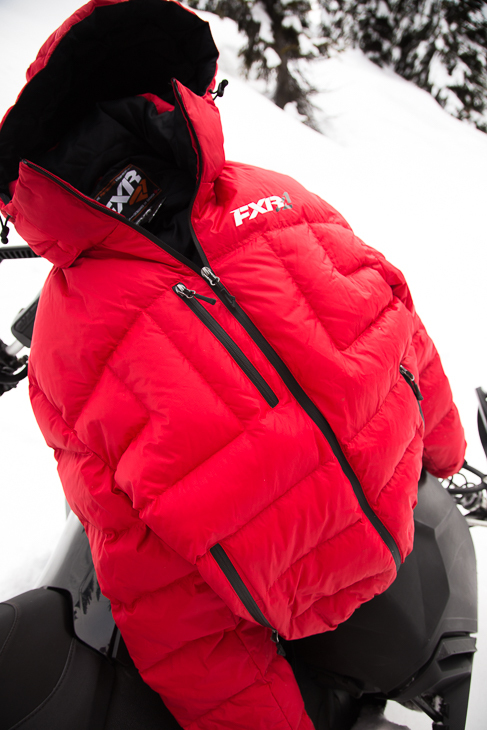 These down jackets serve very different purposes and for that reason it should be made clear that the FXR Elevation Down falls into the latter category. The Elevation Down is puffy and thick for plenty of warmth, just as you’d expect. But it’s also got a few unexpected features that are worth talking about. Down jackets are supposed to be the ultimate in warmth, so it stands to reason that the most important measure of quality of a down jacket would be its insulation. Now in order to understand what makes for a quality insulation, we have to look at the makeup of the fill. Down jackets are often filled with a combination of both down and feathers. The higher the percentage of down, the more insulating the fill will be. FXR’s Elevation Down uses a 90% down, 10% feathers ratio, which is quite good. Some outdoor brand jackets will used an 80/20 ratio, while some premium brands do offer 100% down, but not at this price. So how well does it work? The jacket is good enough for medium-levels of activity at -25°C or warmer. That means that a person who runs at a normal temperature will be able to stay warm enough while wearing the Elevation Down out walking the dog or trail riding with appropriate layers in quite cold temperatures. Anything cold than that, or for low-level activities, you’ll have to bundle up further. 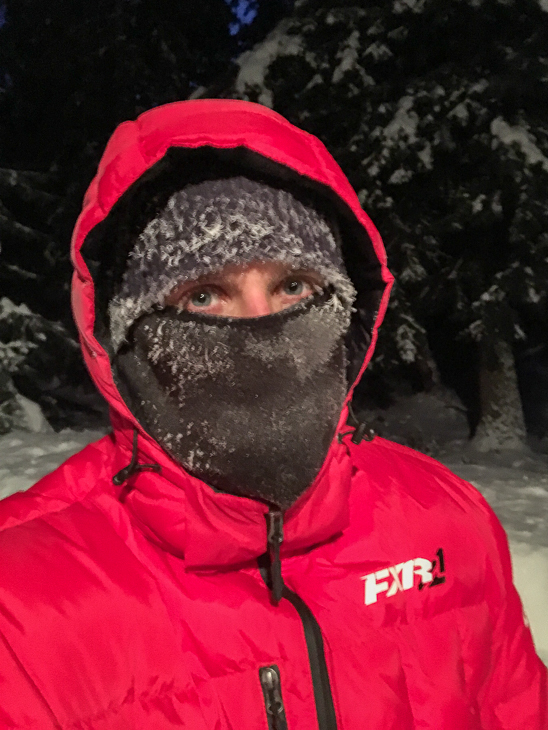 The Elevation Down is warm enough for walking the dog at -25°C with appropriate layering. The jacket shell is a medium-weight ripstop nylon that seems pretty tough. Now it’s important to understand that toughness in a down jacket is relative. Down jackets are built to be as light and warm as possible, so they generally do not use a super hardy outer shell. That is to say that you wouldn’t want to take a down jacket boondocking in tight trees or it would likely be ripped in short order. Having said that, the Elevation Down shell material does seem feel more sturdy than a lot of down jackets out there. No down jacket is designed to be waterproof, and it shouldn’t need to be; it’s designed to be worn on cold days when wetness shouldn’t be an issue. However, if you spend a bunch of time rolling around in the snow, then your outerwear will surely be exposed to some moisture. The Elevation Down thanks fully is treated with a water repellent finish as well as a windproof coating. FXR Elevation Down uses a sewn-through construction. That means that the stitches go all the way through the insulation layer from the inside to the outside. 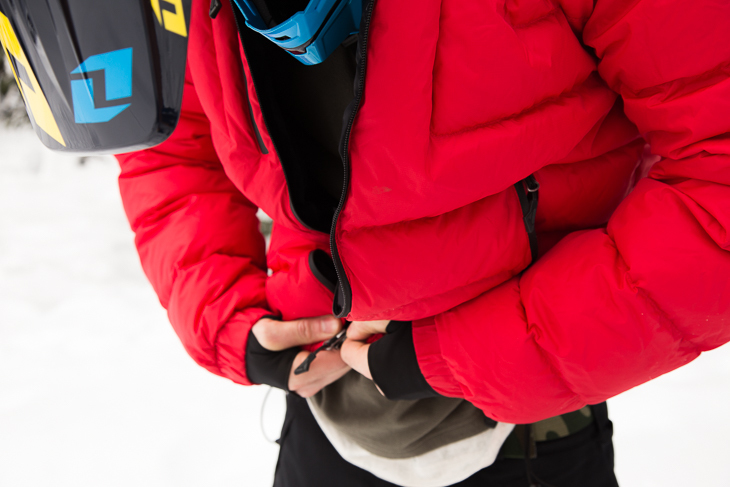 This method isn’t as warm as a baffle construction—which does a better job of eliminating cold spots—but it does help to keep the cost of the jacket down to a reasonable price point. Sewn-through construction helps keep insulation where it’s supposed to be. The jacket uses waterproof zippers throughout, which seems to have become an industry standard these days. Each zip has a handy pull attached to it for ease of use with gloves. Because if you’re wearing this jacket, chances are you’re sporting some thick mitts as well. 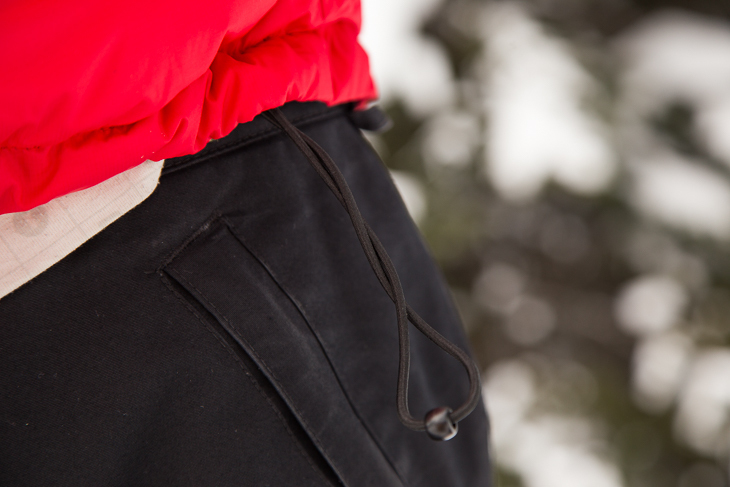 Waterproof zips are found throughout, including the main zip and on the chest pocket. The Elevation Down has soft Lycra wrist gaiters, which are not usually featured on down jackets. You would more likely see these on a outer shell where there is a high likelihood of snow entering there. However, in this case, the lycra cuffs do a fantastic job of keep cold drafts out! I’m not sure if this was FXR’s intention. 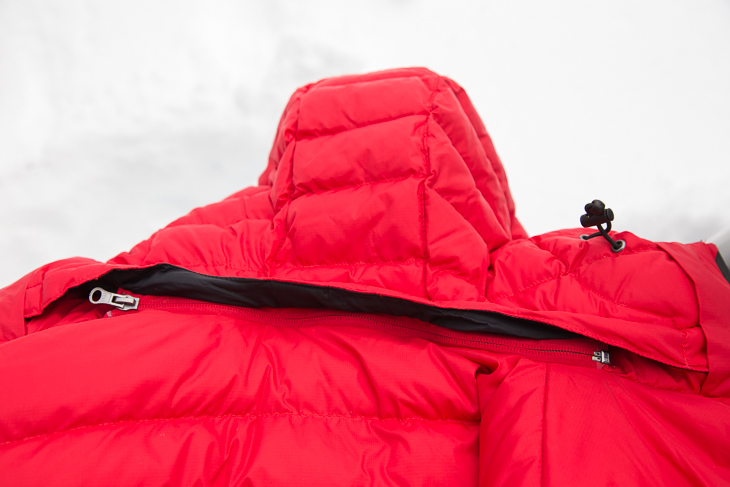 In any case, it’s a wonderful feature that you won’t see on many other down jackets. I’m not sure if these cuffs were designed to keep out snow, but they work very well at keeping out cold air. 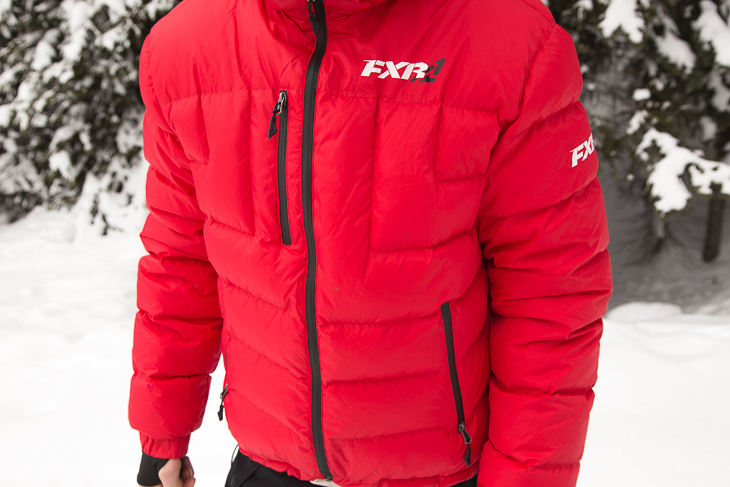 The jacket has adjustable shock cords at key places throughout to help with a snug fit and to seal out cold air. There is one on each side of the waist hem, and one on each side of the hood. They work just like they should. Cinch these bad boys in to keep the cold air out. Some sledders like hoods, others don’t. I can tell you that the hood on this jacket really helps keep heat in, be it up or down. When the hood is up, your head retains much more heat than with your toque alone. And when it’s down, it works like a scarf to keep cold wind from entering around your neck. Speaking of neck, one thing I noticed about the collar is that it is very tight to zip up. I don’t have a thick neck by any means, but I found the collar quite snug. This is something worth noting; more on the fit of the jacket next. The Elevation Down hood is removable to suit your preference. The zip is hidden nicely beneath a flap. Fit is a really key component of how well a piece of outerwear works for you, or how likely you are to use it regularly. Some items seem to fit a broad range of body types. Others seem more tailored for one particular body type and don’t work as well for the opposite end of the spectrum. This is the case with FXR’s Elevation Down. 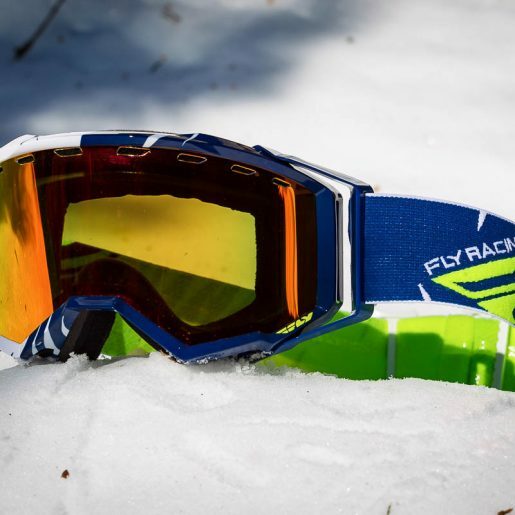 It has a short, boxy fit that will work for a good portion of the sledding population. 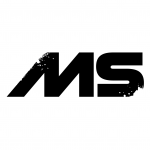 However, if you are tall and skinny you must absolutely try the Elevation Down on before buying to make sure that you will be happy with it. The back length is quite short, and the last thing anyone wants is a down jacket with not enough coverage through the lower back. As mentioned earlier, the collar area is slim, so it would also be worth a try to make sure that you will comfortably be able to zip it all the way up. 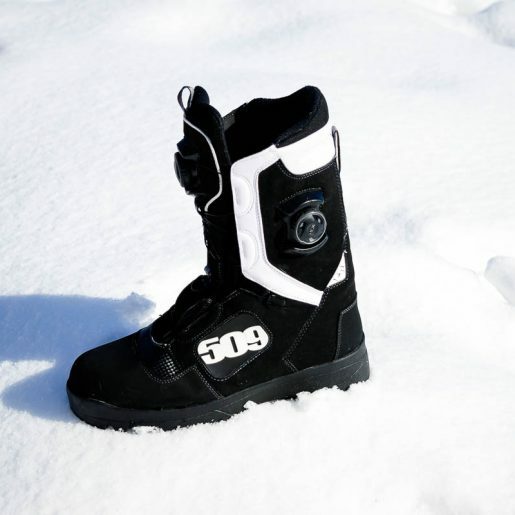 The fit is short and boxy, which is ideal for many sledders, but not all. 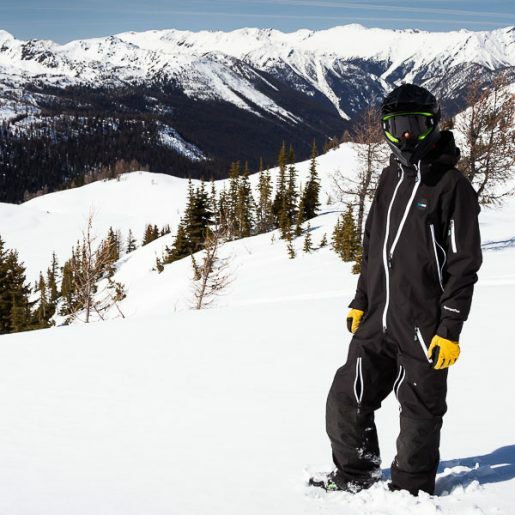 Have a look around; the down jacket is the go-to style in BC mountain towns. It’s warm, soft, hides your gut and looks even better with a little duct tape on it. 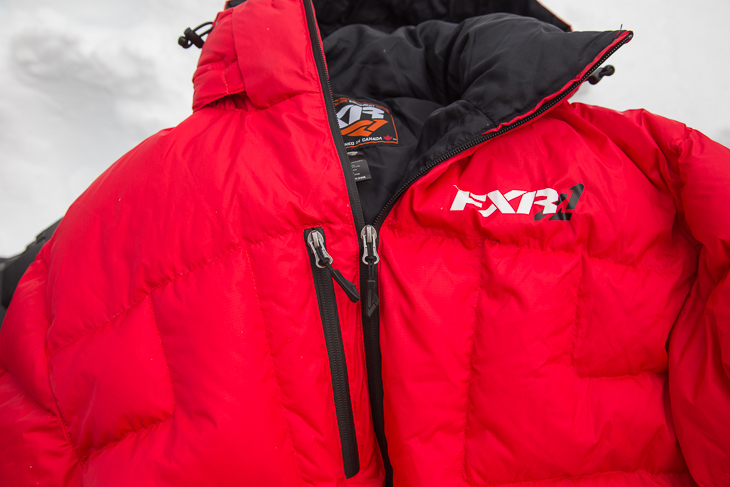 The FXR Elevation comes in a variety of colours, including Red, Navy/Orange, Orange, Yellow, Black/Hi-Vis and Black/Lime for the Arctic Cat crowd. With it on, you’ll fit right in standing in line at Starbucks in Revelstoke. Now, it must be said that I would not use this jacket for mountain riding. There are two reasons for this. 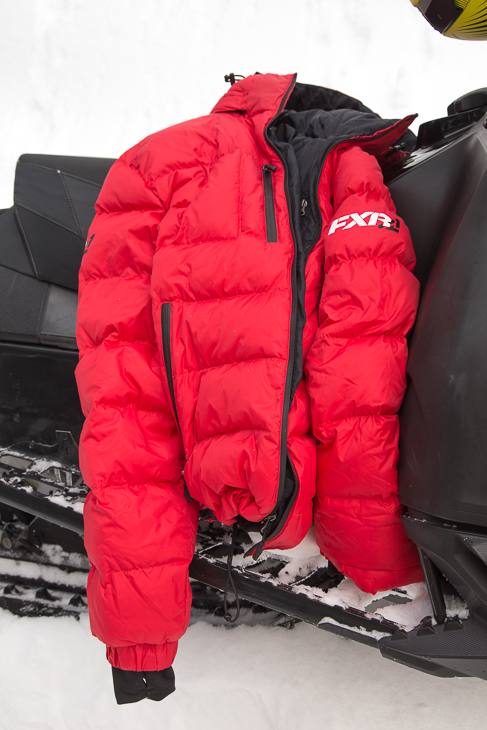 First off, mountain riding is just too active for such a well-insulated jacket. On all but the very coldest days, you’ll simply get too hot riding around with it on. Sure, it would be great for the trail ride in and out, but that brings us to the second issue. Because it is so puffy and warm, it also does not pack down very well. When it comes time to doff your down, most mountain riders would have a hard time finding enough storage room on their sled or in their pack to stow it away. 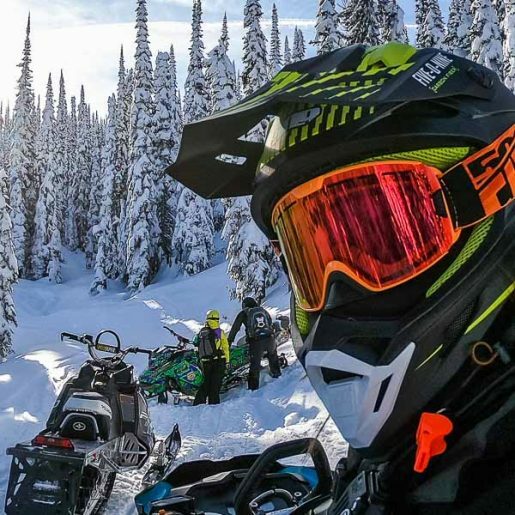 Now if there happens to be a warm-up cabin where you can stash some gear for the day while you’re out riding, that’s a different story. Where the FXR Elevation Down really shines is in its casual use. It’s a joy to throw on first thing in the morning before heading out to warm up your sled and brush off your truck. Casual, low-level activities like walking the dog, or watching your kids tobogganing are perfect examples of situations where the Elevation Down will keep you toasty warm. But I can’t imagine a better use than chucking it on in the parking lot when you’re cold and wet from a day of riding.